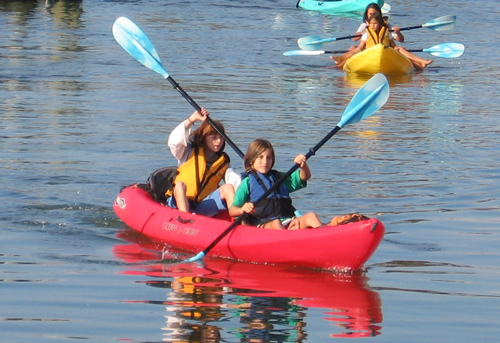 We use only Ocean Kayak Malibu II & Malibu II XL's. 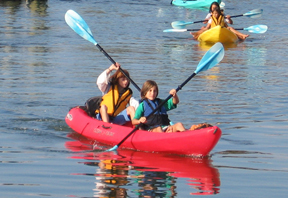 They are the oldest and largest manufacturer of sit-on-top kayaks in the country. Their products are ultra-stable, unsinkable, self-bailing, wide and built with molded cockpits that maintain the paddler's low center of gravity ensuring stability. 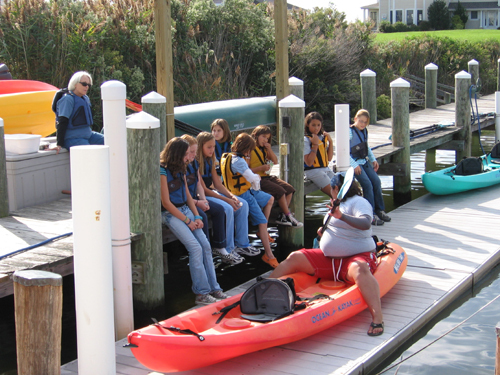 We equip each paddler position with a padded seat and supportive backrest to help make your outing more comfortable. Our life vests and paddles are top of the line. 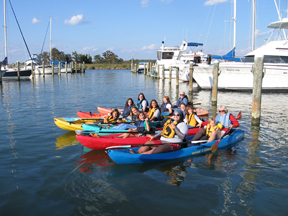 Tilghman Island area offers 10 official Kayak Water Trails with skill levels of Beginner, Intermediate and Experienced. 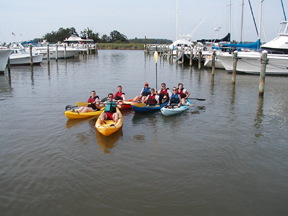 Beginners are provided personal instruction which will have them kayaking like an expert within minutes of being launched. Throughout our many years of renting kayaks, we have had literally thousands of rental customers, most of which were beginners. These were comprised of all age groups ranging from toddlers to grandparents. So if you are apprehensive about trying this sport, relax and go for it. This is not an extreme sport; it is a leisurely outdoor activity requiring little skill that most folks acquire easily. After life jacket fitting and trail map briefing, you will be launched from our floating docks. Just sit back and relax as you are slid into the water with little effort on your part. 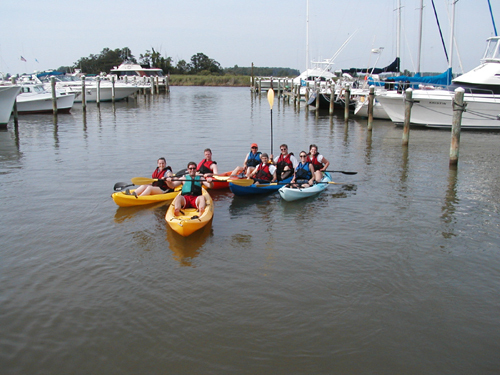 Once in the water, beginners may first practice within the safety of the Marina's basin before venturing into the Back Creek Kayaking Water Trail. 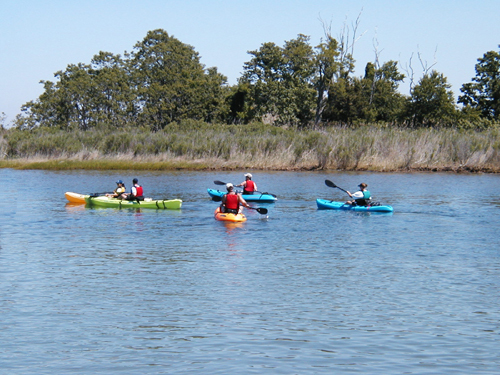 The trail is just a few paddle strokes away from the Marina's main entrance and only a few feet deep; perfect for small paddle craft like Stand-up Paddle Boards, Kayaks and Canoes but not appropriate for intimidating powerboat traffic. Once inside the Back Creek Water Trail, you'll have a little over 2 miles of sheltered waterway which typically offers views of turtles, fox, deer, beaver and otter not to mention a variety of bird life including Osprey, Bald Eagles, Blue Huron, Egrets, Red Tail Hawks, ducks and geese. For those who desire a little more time on the water, we recommend packing a picnic lunch and planning a swim as there are several beaches available for your enjoyment. As such, a 4 hour rental may be more appropriate. > 2 Hour, 4 Hour, Day, Weekend, Week.